Rekindle your Greener spirit, find and connect with your former classmates and other fellow Greeners, and share your own accomplishments. Get your official Evergreen transcript, now available for digital delivery or via traditional delivery methods. Already have a my.evergreen.edu account? Log in now. Read Class Notes in every issue of Evergreen Magazine. Share your news, big or small, and find out what your former classmates are up to. Send your Class Notes now! Join the Associated Alumni and Friends of Evergreen. Update your contact information to stay connected with events and other important activities. 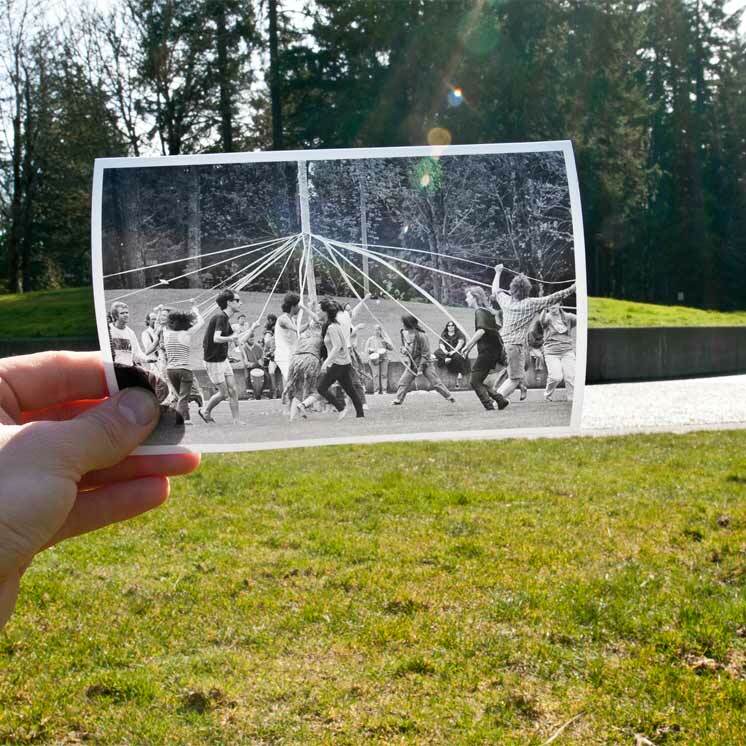 Show your spirit and support scholarships by giving to Evergreen. Get to know Greeners where you live now. Find or start an alumni circle. Attend an alumni event. Come back to Olympia for Return to Evergreen or go to a get-together or traveling seminar near you. An Evergreen license plate is an easy and affordable way to support students. Each year, $28 of the $30 fee goes directly to scholarships. Find out how to get an Evergreen plate on the Department of Licensing website.